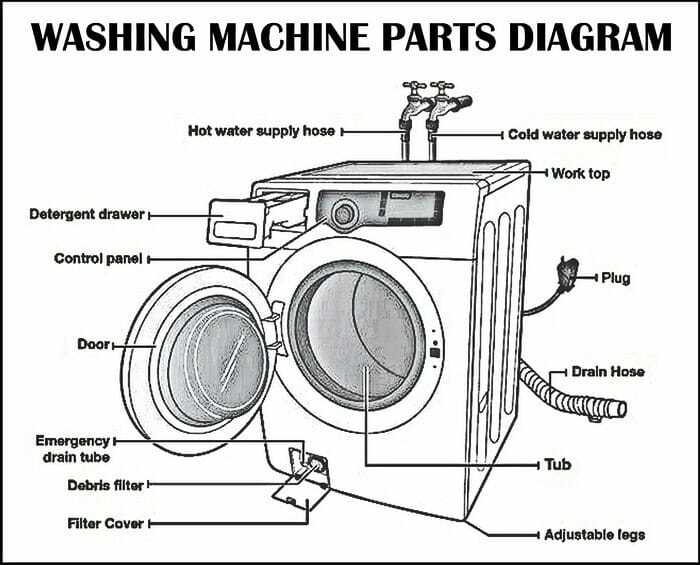 Washing Machines – How Do They Work And What Parts Are Most Likely To Fail? 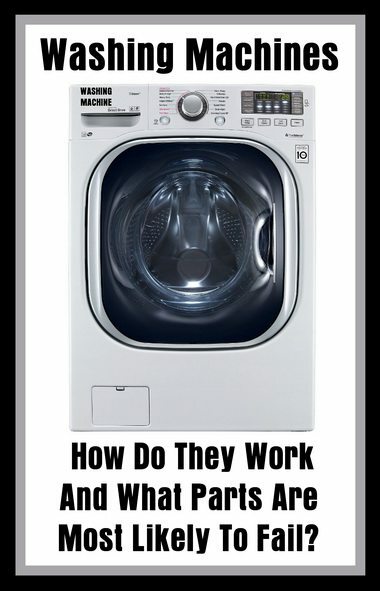 How do washing machines work and why do they break down? You need a quality washing machine that works for years. According to Consumer Reports, most washing machines last about a decade, but many break down long before they fail. Why do washing machines break down? Is there anything you can do to extend the life of your machine? Without getting too deep into details, washing machines work by filling with water, sloshing your clothes around in soapy water, rinsing and spinning to partially dry the clothes. To accomplish this, the washing machine has an inner and an outer drum. The inner drum (the one you can see) has holes in it to allow water in and out. It also has paddles to move clothes around. The outer drum (which you can’t see) is designed to hold water while the inner drum rotates. Unlike the inner drum, the outer drum watertight. Why Do Washing Machines Break Down? There are 2 primary reasons a washing machine breaks down. The first is that it isn’t being properly maintained or used. You can sometimes fix these problems by reading your user’s manual and troubleshooting (Washing Machine Manuals Here). The second is that one of its main parts breaks down. Your washing machine’s motor can fail to work due to overuse. Under these conditions, the motor can overheat and stop functioning. In some cases, you can let your machine cool down, and the motor will begin to work again (but you should still call a repairman, because this is usually a sign that your motor is going bad). The motor can also malfunction if the coupler (which connects the motor to the machine’s transmission and is made of plastic or rubber) breaks. Your pump is constructed of plastic, which means it can sometimes break. The pump can also develop a leak, causing water to drain out onto the floor. Finally, you can have some sort of blockage in your pump, in which case it can’t circulate water. If your belt stops functioning, the washer tub won’t move. Often, belts will simply wear out, causing them to slip loose. The gasket prevents water from escaping or leaking. When the gasket wears out, water begins to leak, in which case you’ll need to call a repairman. Are There Ways to Extend the Life of Your Washing Machine? Many problems that occur with washing machines are the result of poor maintenance or improper use. Fortunately, you can prevent breakdowns and extend the life of your machine by following some common-sense guidelines. About once a month, take a look at your hoses. Make sure there are no bulges or cracks that could be signs of an imminent problem. If you think you can save some money by overloading your machine, think again. When you overload your machine, you risk damaging your machine, and a potential repair bill. Some washing machines, like those which are energy-efficient, require HE detergents which create less suds. Read your manual to make sure you’re using the right detergent for your machine. It’s also important to avoid using too much detergent. This can leave residue that can build up and damage your machine. You need to occasionally clean your washer dispensers and interior. You should also take the time to wipe down the door, gaskets and drum. If you let clean clothes sit in your washer, you can cause mold and mildew, something you obviously don’t want. No home appliance, including your washing machine, is going to last forever—but there are proactive steps you can take to prevent unnecessary breakdowns and keep your machine functioning longer. Make sure to carefully ready your owner’s manual (Washing Machine Manuals Here) to ensure that you’re using and maintaining your machine properly. Properly use and maintain your machine according to the instructions you find there. Troubleshoot when you can, and call a repairman when you need to. 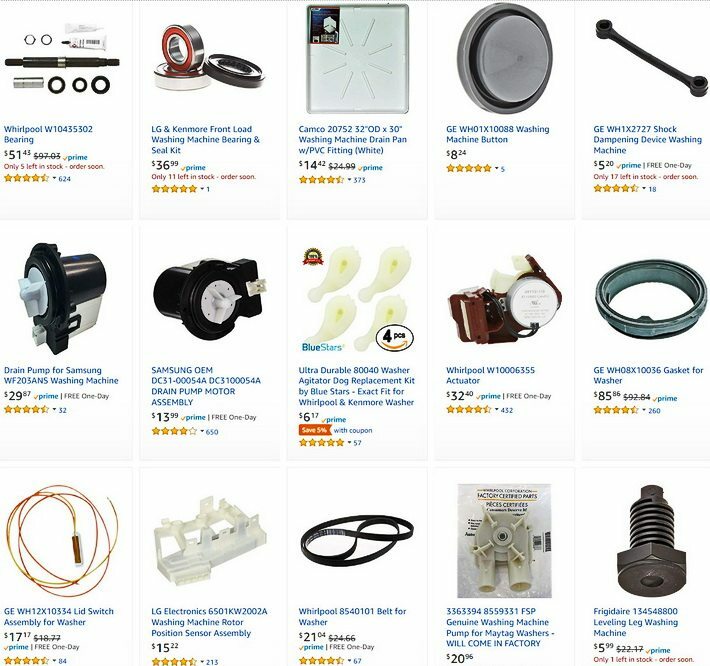 To learn more about a wide variety of appliance DIY tips, tricks, ideas and repairs, contact us today by using the comments form below.